The Atlanta Falcons came up short in their attempt to send Tony Gonzalez off with a win as they fell 21-20 to the Carolina Panthers. 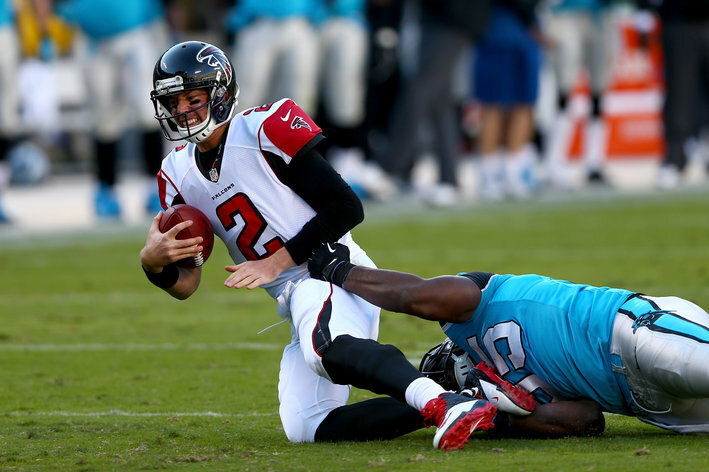 Allowing Matt Ryan to be sacked nine times – four times by defensive end Greg Hardy, who posted a Panthers team single-game record – isn’t exactly a recipe for earning a victory. 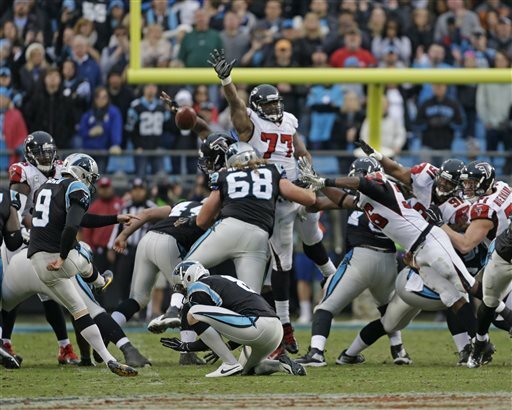 The Atlanta Falcons’ tumultuous season continues as they were routed 34-10 by the Carolina Panthers on Sunday. The Falcons have now lost four out of their last five games and have yet to record a victory on the road. 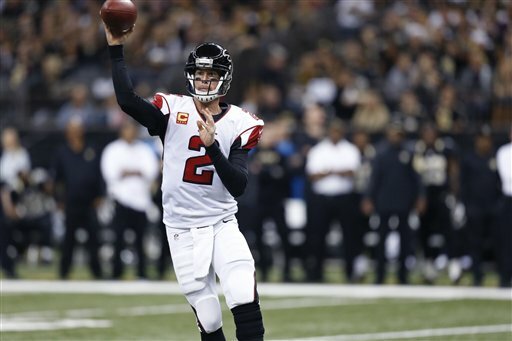 The Atlanta Falcons were forced to fill three roster spots after injuries ended the seasons of two players (Kroy Biermann and Bradie Ewing) and forced Sean Weatherspoon to be placed on injured reserve-designated to return. To offset the blows to the linebacking corps, the Falcons signed former Philadelphia Eagles Jamar Chaney and Omar Gaither. Chaney, a seventh-round pick in 2010, spent three years with the Eagles before being cut after the third game this past preseason. He started a 23 of 44 games, amassing 158 tackles, one sack, three interceptions, and one forced fumble. 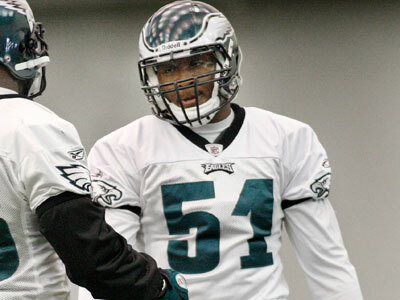 Gaither was a fifth-round pick in 2006, and he spent five years with the Eagles. He played with the Carolina Panthers in 2011, and last played for the Oakland Raiders in 2012. He was cut by the Raiders in For his career, Gaither has 334 total tackles, six sacks, two interceptions, and two forced fumbles. The Falcons also called up fullback Patrick DiMarco from the practice squad to fill the roster spot vacated by Ewing. 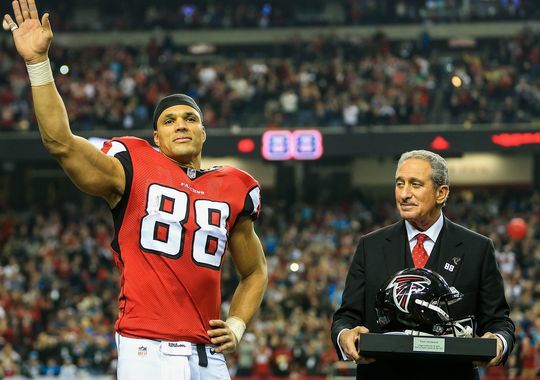 I’ll go ahead and say this: I was a big fan of Mike Smith electing to play the starters throughout the game. In 2010, the Falcons blew out the Carolina Panthers 31-10, and the starters were pulled after the third quarter. 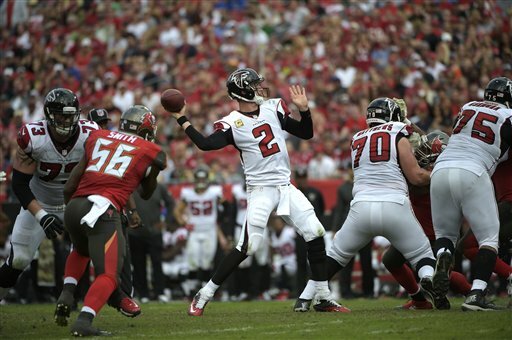 Last season, the Falcons jumped on the Tampa Bay Buccaneers as soon as the game started and took a 42-7 by halftime. Some of the starters were pulled after they took a 42-0 lead in the second quarter.